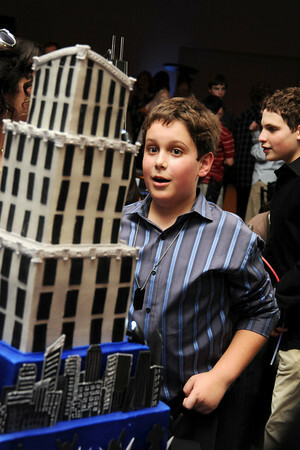 Our Bar Mitzvah Boy last weekend was into all things architecture. He has an incredible creative mind and I have no doubt he will do something great in his future. 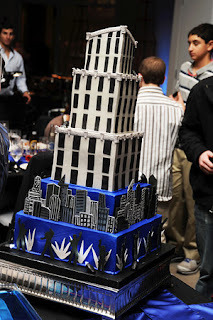 So, for his party he wanted to theme it after skyscrapers around the world. 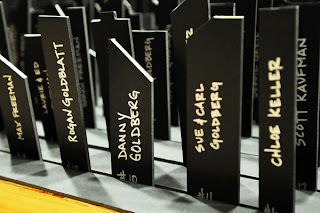 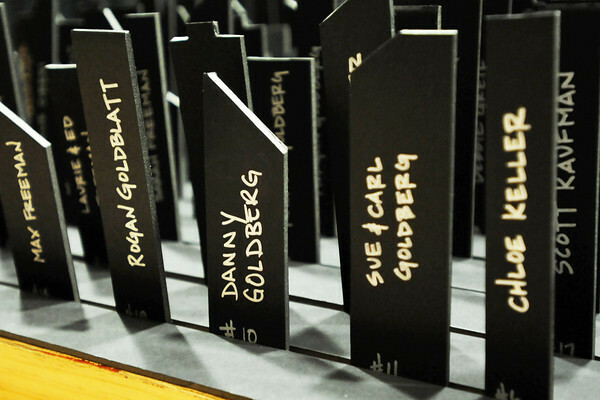 We cut the placecards in various building silhouettes so that when they were placed in alphabetical order, it would look like a city skyline. 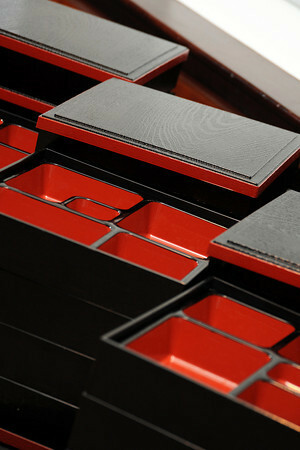 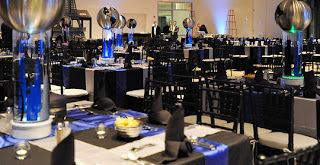 The colors of the room were a modern scheme royal blue, black and silver. 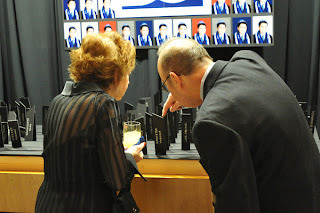 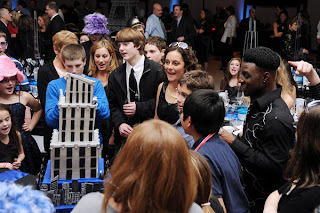 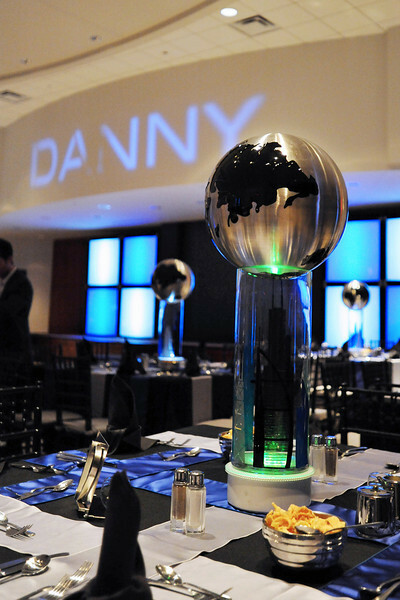 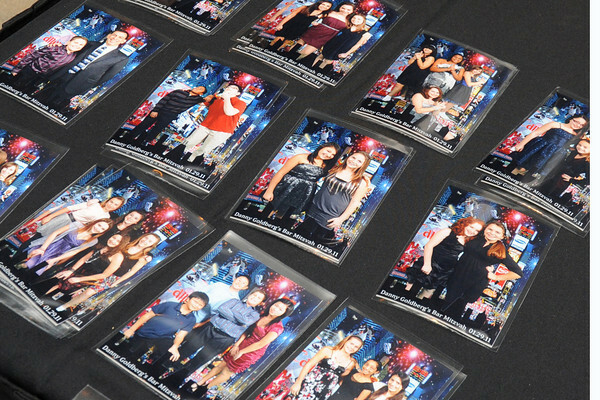 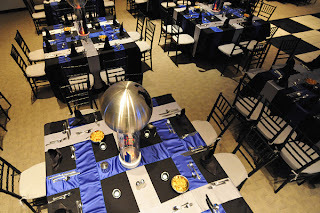 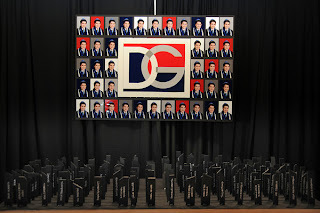 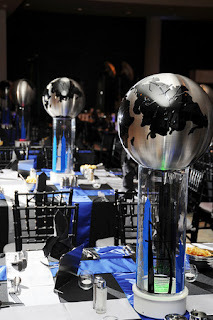 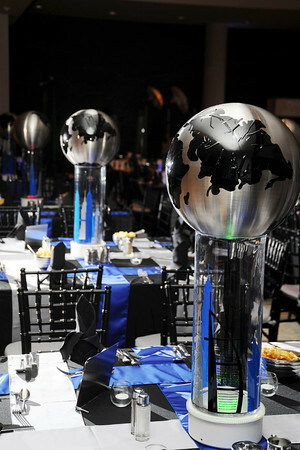 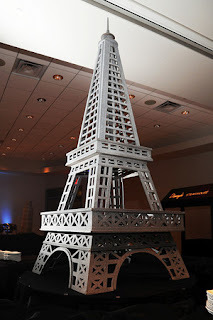 The adult centerpieces were glass cylinders with the Bar Mitzvah boys favorite skyscrapers around the glass and topped with a stainless steel globe. 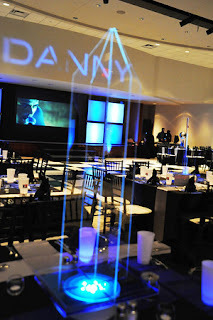 They were under lit with LED lighting. 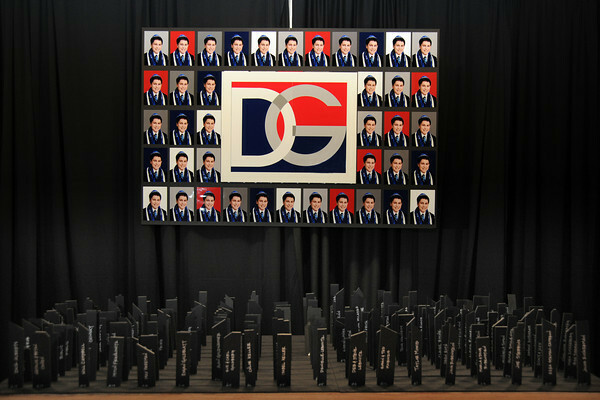 We used 6 chair sashes to create a criss-cross table topper on each table. 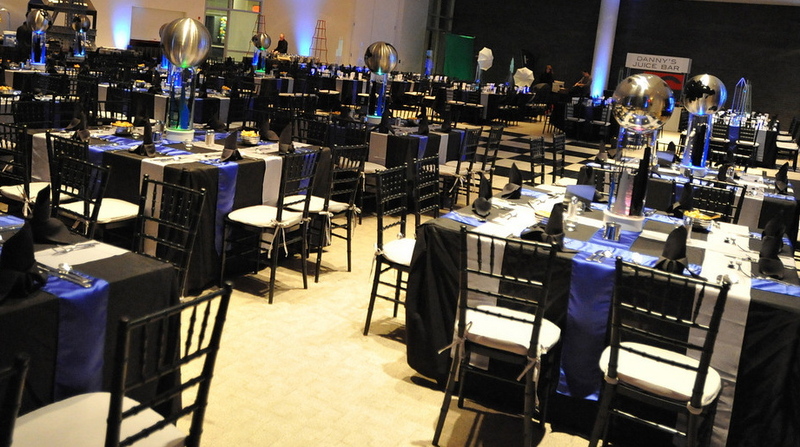 Black and white giant dance floor. 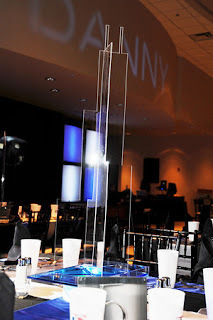 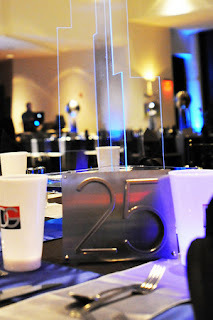 The kids centerpieces were laser cut Plexiglas buildings with a blue water base and up lit again with LED lighting. 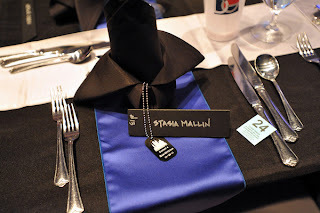 We made these table numbers with super sleek house numbers right from the home improvement store. 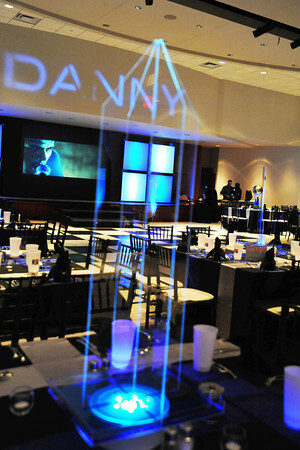 Evans Audio Visual created the DANNY gobo light. 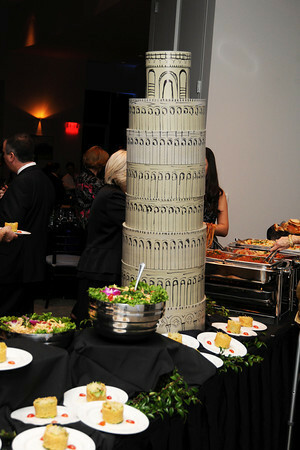 The food buffets were a delicious sampling from around the world. 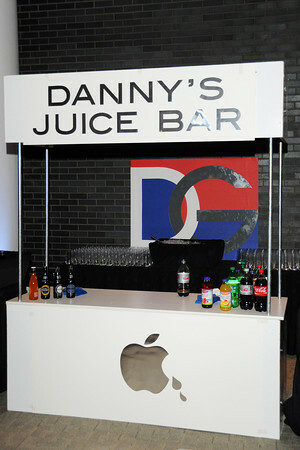 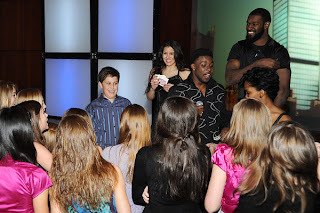 The Bar Mitzvah boy also loves all things Apple. So we created a Juice Bar for the kids. 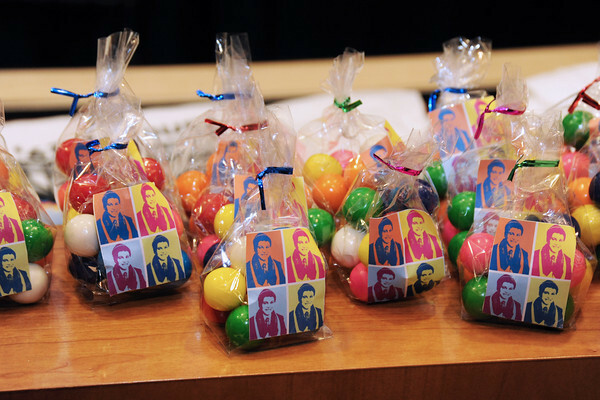 Bags of colorful gum balls were given to each guest as they left for the evening. 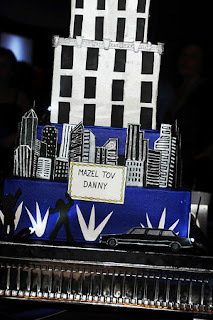 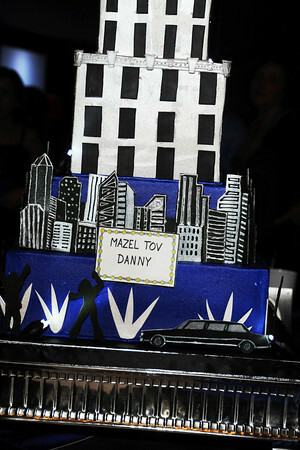 This entry was posted in Architecture Party, Bar Mitzvah Party, Skyscraper Theme Party on February 10, 2011 by Setting the Mood.